Chiropractic care doesnt treat allergies. Then why do so many people with allergies mention that they get relief by receiving chiropractic care? If everyone reacted to these common substances, we could fix the blame squarely on the nut, dander, shellfish or pollen. But not everyone reacts. So, its not the allergen! Your nervous system is the master system that orchestrates your immune system, glandular system, respiratory system and every other system that reacts inappropriately to an allergen. Normally, these systems help you respond and adapt to the world around you. But suffering from uncontrollable sneezing around a house cat is an inappropriate reaction. If your nervous system isnt working right, you dont work right. So, rather than direct our attention to the countless potential allergens, chiropractors locate and reduce disturbances to your nervous system. Each of us was born with the capacity to withstand or adapt to stress. If were unable to deal with things we eat, breathe or come into contact with it may be because our margin to adapt is used up. 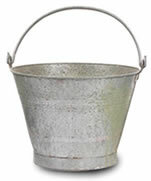 Pretend that this bucket represents your capacity to adapt to the physical, emotional and chemical stresses of life. Every stressful encounter your body faces, fills up your bucket. If your bucket is already full because of other stresses in your life and you encounter pollen, foods or other chemicals, your bucket overflows. So, chiropractors dont treat allergies. Chiropractors look for ways to restore your ability to adapt to allergens by locating and reducing disturbances to your nervous system. Simple, really.